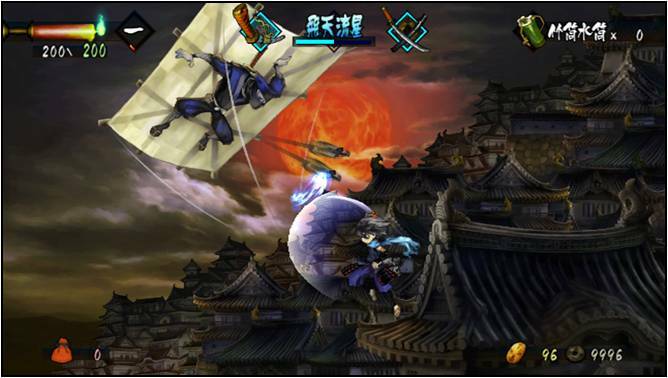 Muramasa: The Demon Blade, being published by Ignition Entertainment, is a hack-and-slash side-scrolling game that harkens back to the mythical and classical period in Japanese history. With a very anime-esque artistic styling, the characters jump off the screen as very dynamic and unique. With characters ranging from shape-shifting kitsune, fox demons in Japanese folklore, to the very stereotypical strong-armed samurai and everything in between, players are sure to find a character or opponent which they can latch onto. The backgrounds are very elaborately designed with an attention to detail so rich you can see the brushstrokes from the artist’s palette. The backgrounds range from winter scenes beneath the sakura trees to mountaintop views from rice farmers’ villages all the way down to the crowded red light districts of old Edo. The artwork is all tastefully done using a 2D hand-drawn style in such a way as to portray real-life but still retain that whimsical feeling of fantasy inherent in the underlying Japanese folklore. 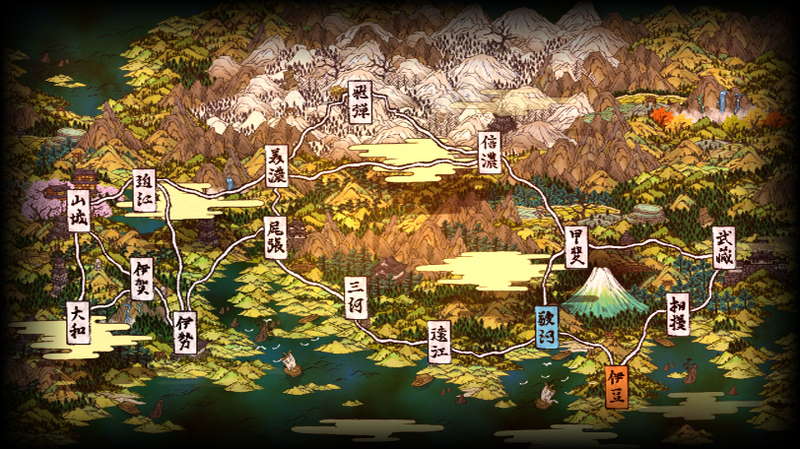 No game is complete without a musical score to back it up and Muramasa does not disappoint. The music is crafted in the classical Japanese musical stylings with hints of fantasy music fans of the Final Fantasy series will be able to easily relate to. The score underlies the game and does not subtract from the gameplay value as many titles do with an overwhelmingly grandiose and loud background score. The gameplay follows the basics of a side-scroller with movement and fighting actions reminiscent of the Castlevania series. The characters maintain a very high graphic level throughout the gameplay. Players can choose from two playable characters that move through their environments utilizing movements typical to a side-scrolling platform game; i.e. running, jumping, etc. Depending on which character is chosen, the adventure goes in opposite directions. If Kisuke, a young ninja with amnesia, is chosen; gameplay flows from Edo to Kyo and vice versa if Momohime, a young, possessed princess from the Mino province, is chosen. Both carry 3 separate katanas at one time out of the possible 100 plus available to collect or forge in the game. The game uses the classic controls and is in no way solely a Wii-ware game. The classic controller, GameCube controller, and the Wii Nunchuk are all viable means of controlling the gameplay. Players progress through the game fighting enemies ranging from giant toads to ninjas all the way up to giant skeletal demon horses. A boss fight can be expected at the end of all of the 30-plus levels each character must surpass. Certain levels have bosses you must conquer prior to moving on within the level. Levels are arranged very linearly in a Metroid-like fashion with some backtracking required in order to make any substantial progress. The game has two difficulty settings. The first is a beginner’s level with gameplay at its easiest. The next level is an increasingly difficult setting with more fights and harder bosses. Rumors have it that a third level can be attained by defeating the game on the easy setting in which the player only has 1 HP to last the entire level regardless of leveling up. Understandably, this has been titled ‘Insane Death Mode.’ In the player’s down time they can travel the levels and buy items from shopkeeps, forge new swords with supplies and the help of an odd demon swordsmith, or even sit down to enjoy a delectable bite of sushi. Hack-and-slash swordplay is rampant in the game with plenty of slashes, combos, and special moves to tear opponents to pieces. There are two types of swords in the game: tachi and odachi. The tachi swords are small, swift swords capable of dealing out lots of small damage in plenty of rapid combos while the odachi are larger, more powerful swords with a slower speed and significantly higher damaging power. Unique to the game is a sword gauge which is used to determine how much more of a beating your sword can take. The demon blades are nourished by the souls of your slain victims which help to level both you and your sword up. If you run out of ‘soul power’, your sword will break and you will no longer be able to wield it in your defense. At this point in time you have the option of drawing a second sword if you have any left in your arsenal, or run away and try to avoid all danger until your sword regains its fighting ability. Amidst a classical-era Japanese world where souls of the dead and demonic entities roam free, it is your job to restore a peace that has been unleveled as a result of a power-hungry shogun’s play for power and the demon blades. 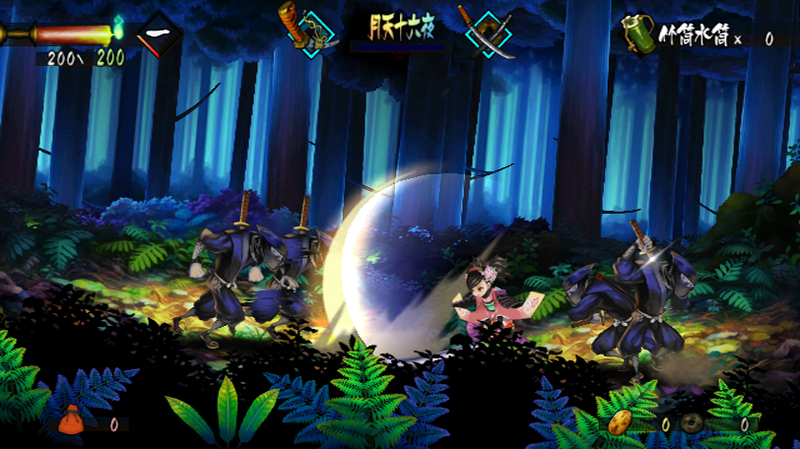 Gamers can expect Muramasa: The Demon Blade to hit retailer’s shelves sometime in early fall of 2009.